Ion-Beam Sputter Deposition (IBSD) is a thin-layer deposition method in which the mechanism of ion production is separate from the target. The ion source generate ions from a hot filament by collisions with electrons that are confined by a magnetic field. The ions are then accelerated toward the target material by an electric field from a grid. As the ions leave the ion source they can be (depending on the design) neutralized by electrons from a second external filament. The ions/neutral atom will then strike the atoms on the surface of the target thus removing target atoms by momentum transfer. These atoms are then condensed onto the substrate as a thin film. The advantage of IBSD is that the energy and flux of ions can be controlled and measured independently. 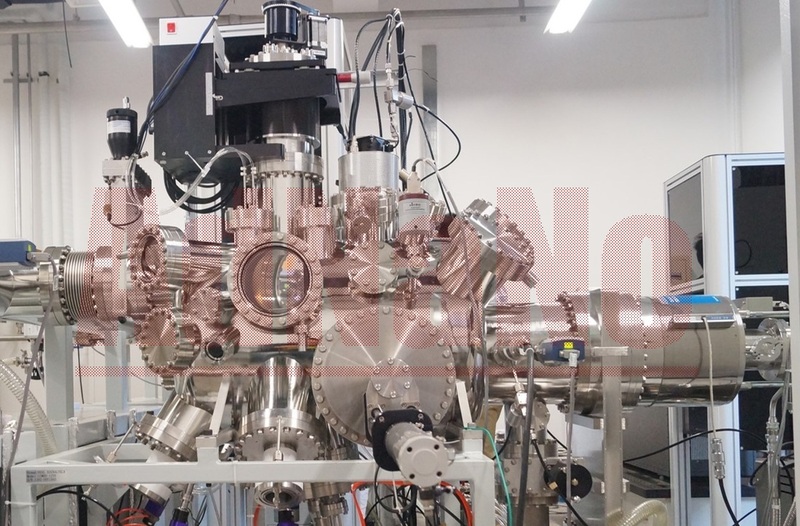 Since the ion beam current can be monitored during the deposition process, this parameter can serve as a quantitative measure for the deposited amount of material. Also, since the flux that strikes the target is composed of neutral atoms, either insulating or conducting targets can be sputtered. 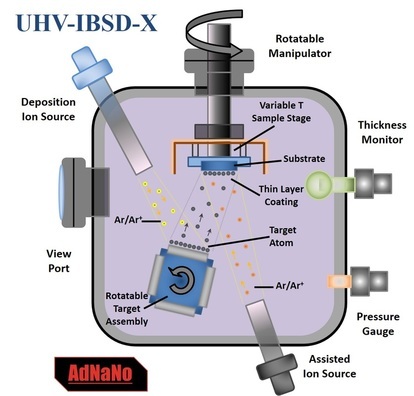 AdNaNoTek's IBSD system is designed to maintain UHV conditions, also the sample handling and over-all design are precisely calculated to ensure deposition of high quality films. AdNaNoTek's FBBear Control Software makes IBSD operation reliable and hassle-free. In addition, our vast-experience and long-term cooperation with our customers continuously improve and optimize our systems.